I recently attended two birthday parties for young girls. Each party included a variety of activities, but a big part of the fun was playing games. It made me think, "How do you choose the best games for a children's party?" (a) What is their age range? Many games are better suited to a particular age group, such as the game "Duck, Duck, Goose" which is great fun for younger children but it is a little harder for teenagers to sit on the ground and jump up to run around. On the other hand, "Balloon Volleyball" may be too boisterous for young children. (b) Are they all boys or all girls, or is there a mixture of both? As a general rule (and there are exceptions) boys tend to prefer more active games than girls. Tailor the games to suit. (c) Do any of the children have physical or other disabilities that may prevent them from playing certain types of games? 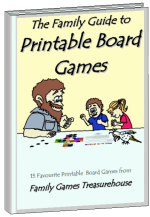 Make sure you include suitable games for everyone to be able to join in, at least some of the time. You will also need to think about the area where the games will be played. In Australia, outdoor games are great almost all year round, but in other countries you may need more indoor games. How much room does each game require? Do you have enough space? Are there active games that could damage delicate furniture or decorations? Consider providing a mixture of more active games (like "Musical Newspapers", a variation of Musical Chairs) and quieter games (like "Pin the Tail on the Donkey"). 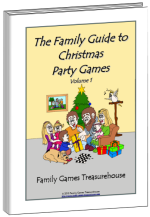 Musical games (such as "Pass the Parcel") can also be included. It's best to avoid having the children move from area to area too much, so start with the quieter indoor games before the louder musical games and then move to the active outdoor games. 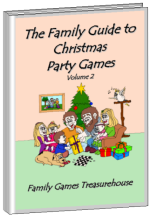 Don't forget to assemble everything you may need for the games, such as balls and ropes, along with any special items such as the parcel for "Pass the Parcel" and the equipment for "Pin the Tail". 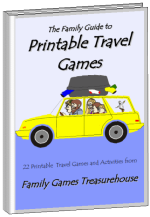 Put them in a box, with a list of games and brief rules for each game. Another point to consider is the person who will run the games. An adult or older child should control the games with enthusiasm and sensitivity. In particular, young children may become bored very quickly. Some children may want to keep playing a game (especially if they are winning) while others are ready to move on to a new game. The leader needs to be ready to abandon a game if necessary, or to encourage a child who doesn't want to join the game, with sensitivity. Kids love to play games - the leader should use enthusiasm to help them enjoy themselves. Always prepare more games than you think you will need. You may need to delete some of your chosen games if the children are bored or if the game is too hard, or you may need to add more games if the cake or party food is not ready on time, for example. Allow five minutes per game and choose at least five spare games. If you do run out of games, you can organise races. Simply set up a starting line and finish line. They can run forwards, backwards, sideways, hold their knees with their arms crossed, hold their ankles, skip, hop, jump, link arms (side by side) with a partner, link arms (back to back) with a partner, hold hands with a partner, leapfrog, crawl, and so on. Use your imagination. In summary, choose games to suit the children who will attend, the area you have available, with a variety of games, ensuring you have spare games planned. 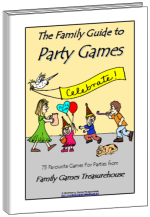 Use a resource with lots of party games to help plan your next children's party, and enjoy yourself too. Enthusiasm is infectious!